A five-year-old is getting a harsh dose of the police state after selling lemonade to buy a new bike and then getting a fine for not having a permit. 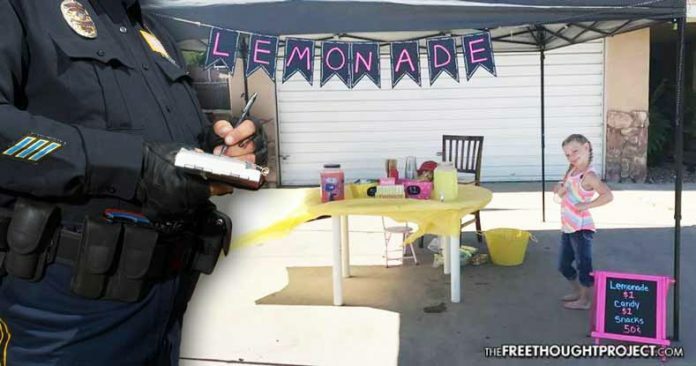 Porterville, CA — The state knows no empathy, logic, or reason and will enforce its most asinine decrees—even if it means targeting an innocent five-year-old girl’s lemonade stand. Without resistance, this encroachment upon our everyday activities is as inevitable as the tide.